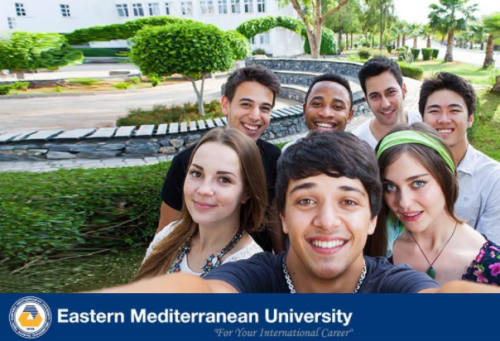 Eastern Mediterranean University is offering scholarships for Turkish and international students. These scholarships are available for pursuing master and PhD program. The main objective of the Eastern Mediterranean University is to provide high quality, comprehensive educational and training opportunities that are compatible with changing needs of the students. The Eastern Mediterranean University (EMU; Turkish: Doğu Akdeniz Üniversitesi), located in Northern Cyprus, was established in 1979 under the leadership of Onay Fadıl Demirciler (then Undersecretary of the Ministry of Education) as a higher-education institution of technology. In 1986, it was converted to a state university. The campus is located within the city of Famagusta. The university has 141 programs (11 Faculties and 5 Schools) offering undergraduate and postgraduate degrees, as well as a research infrastructure. The medium of instructions are in Turkish and English. However, English Preparatory School is available for students who need to improve their English. The university offers variety of sports and social activities. Academic Programs of EMU are broad and include Physical and Social Sciences with considerable research studies via Research Advisory Board. Course Level: Scholarships are available for pursuing master and PhD programme. Study Subject: Scholarships are awarded for studying all the subjects offered by the university. Each PhD program can grant either one 100% or two 50% tuition fee scholarship to new international students and Turkish nationals (separately) who hold a minimum Bachelor’s Degree CGPA 3.00 out of 4.00 or equivalent. Each master’s program can grant one 100% scholarship and two 50% scholarship to Turkish nationals who will enrol in the program for the first time with a minimum Bachelor’s Degree CGPA 3.00 out of 4.00 or equivalent. In addition, the large number of 50% tuition fee scholarships is available for new international students in master’s programs. All applicants for whom English is a second language is required to present a recent TOEFL or IELTS score or to pass a proficiency examination organized by EMU. Eligible Countries: Turkish and international students can apply for these scholarships. The minimum requirement to be considered for 100% scholarship is 3.00 (out of 4.00) or higher undergraduate graduation CGPA. The minimum requirement to be considered for 50% scholarship is 2.75 (out of 4.00) or higher undergraduate graduation CGPA. English Language Requirements: All applicants for whom English is a second language is required to present a recent TOEFL or IELTS score or to pass a proficiency examination organised by EMU. Give details of any grant/scholarships that you have already been awarded (valid for your studentship at EMU) (add documents). Give details of any application(s) for a grant/scholarship that you have made (add documents). Statement of Purpose / Intention (Please submit on a separate sheet: Your purpose in applying to the program chosen, explaining your motivation as well as the areas of specialisation which would be of interest to you within the discipline). A photocopy of your passport or I.D. card. Two passport-sized (approx. 6 cm x 5 cm) photographs. Program specific documents: Architecture (Ph.D. & Master): Portfolio.